Homes for sale Mobile AL,Fairhope, Daphne, Spanish Fort..
We am here to help you with buying you next home! 10310 Southhill Dr. Mobile Al. 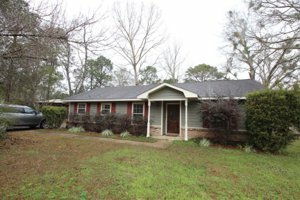 36695.. 3 bedroom 2 bath Homes for Sale in West Mobile, AL. New Counter Tops in Kitchen, New Paint in side. New carpet in bedrooms. New vanity in Master Bathroom. 1/2 acre yard with storage building with power and AC unit. Carport on back of shed. 25338 Raynagua Blvd, Loxley, AL 36551 4 bedroom 2 bath new Brick home. This 4 sided brick elegant estate home is just stellar!! This 4 bedroom 3 full bath home is nestled in the beautiful Lake community of Lakeland South. “This Community Features Lake Raynagua!” You will be the envy of your all your friends living here, able to take advantage of the community Swimming Pool, Clubhouse and Boat launch. Spend time out on the Lake with that special someone or just relaxing on the Lake with friends!! 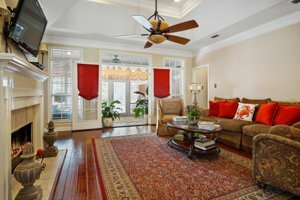 This home has stunning features like the gorgeous Granite countertops in the kitchen, wainscoting in the dining room, octagon trey ceilings with crown molding in the master and great room. Imagine entertaining your friends in the spacious back yard and on the covered back porch grilling out on game day, or just chilling on the back porch enjoying nature and reading your favorite book. The kitchen has large cabinets with crown molding adorning them. The master bath has two walk-in closets, two separate vanities and sinks. It also has a deep garden tub and separate sit down or stand shower with a wide rain shower head and a water closet with door for privacy. All the doors in this home are carriage style and have brushed nickel lever door knobs. 5 and ¼ inch base board throughout the entire home including in the expertly finished two car garage. The windows are high efficiency double pane that have a tilt in option for easy cleaning. All of our renowned light weight storm shields are custom fashioned specifically to fit each individual window and door on this home. Remember quality and customer service is what Adams Homes is known for. We treat the customer like family and are proud of our workmanship! Call today!! Don’t miss your chance to live in this premiere life style community!! 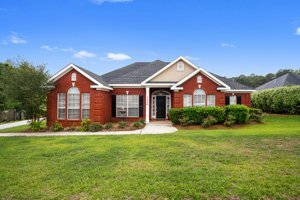 4 bedroom 3 bath brick home for sale in Spanish Fort AL. Once inside, one quickly notices the 12 foot ceilings as well as the classic elegance of neutral walls with rich hardwood floors and crown molding everywhere. At the front, is an open dining room to your left, and an office/music room to your right. The classic living room opens to the kitchen and the back porch (also, be sure to check out the artwork over the fireplace that is a folding cover for the tv!) The kitchen has beautiful white cabinets with the stone backsplash and a granite island. Placed at the rear of the home, there is a lot of nice natural light in the kitchen. Designed in a split floor plan, the master is off the living room and features a large walk in closet and nice master bath suite with custom design touches. The bonus room is upstairs above the three car garage and could easily be a fifth bedroom. Totally remodeled midtown cottage. 2 bedroom 1 bath with bonus room, could be used for a bedroom. New lifetime metal roof in 2017, refinished hardwood floors, new ceilings in living room and dining room, new paint throughout the house. New exterior paint. Refinished cabinets, new carport, new covered back porch, new Sundeck, new storage shed, new laundry room, built in storage cabinets, new gravel in carport, new window treatments with new shutters. new security system. Inground pool is Concrete with new aqua seal and new pool pump. 26 X 10 Large back covered porch turns this backyard into your own private oasis. Enter this home onto beautiful hardwood floors over looking the sunroom. Large deck over looking the Pool. 4 bedrooms 3 full baths, this is your own private oasis in your backyard come home from a hard day at work and just relax by the pool and on the deck. New water heater in 2018, new carpet in 2017 new concrete driveway 2018, new motor on pool pump in 2017. Split brick floors in kitchen, bathroom, utility room. Saltwater pool 28 x 18. This home for sale is located in the Cumberland subdivision just south of Cottage hill Rd. Hope everyone will benefit from this. Sherry just closed on her new home. I have asked her to give updates on the progress of her new roof using the grant. Here is the first update and will post as she sends me updates. Please let me know if you are looking to purchase a home. It is in need of a roof you to can apply after you close. Happy reading. I am Sherry Lawrence, a new home owner in Mobile County. You know the home buying process can be very frantic, right? Also, when you are single, it can be ten times a headache! Well, as I am getting my boxes unpacked, changing addresses, making important calls, and driving to locations to pick up needed home supplies and paying my service connections deposits, I just had to take a quick moment to tell you about a program called http://strenthenalabamahomes.com. Well, I did not know anything about this grant program until my realtor, Erica Tivet of Legendary Realty, gave me some insight. Shout out to her for being a bomb diggity realtor! She, of course, after attending a conference about the program, provided me with this pertinent information and website (SAH). She explained that this grant is available right away for new homeowners or homeowners that already have had their homes for a while. If you meet qualifications, the grant will provide Baldwin and Mobile County residents up to 10,000 to have their roof repaired. The homeowners only pay a small fee and do not have to pay any out of pocket expenses to the contractor unless you go over the 10,000 grant limit. There also can be a discount added to your homeowner's policy after the work is completed and you receive your home certificate. The start process is extremely easy. I typed in the website above, and then scrolled below to read their website information. Next, at the bottom right hand side, I pressed the hi-lighted "begin application" to start my homeowner sign up;answered a few questions about my home, and registered by setting up an user account and providing my name, mailing address, and lastly, hitting the submit button. I provided this information to their website, literally, yesterday evening, and that night, I received an email to confirm my SAH account, in which I confirmed. From there, I logged into my created account, that took me to a Homeowner's Dashboard, I followed the steps, and was asked to upload my homeowner's policy. I did not have my policy yet, so I uploaded my homeowners reservation form that my homeowner insurance agent provided to me and included my reference number. I also uploaded a few pages of my 1040 tax form so that my income could be verified, and pressed submit. Next, I selected a specific company name to have their inspector to inspect the roof, etc. Simple as that! You will be notified if you need to provide more information, and you can mail the needed forms if you cannot upload them. The next morning, I received a phone call from an Strengthen Alabama Homes evaluator who explained the process further. I was able to set up an appointment for the inspector (from the company I chose)to come out next week.Excited!!! There is a small up front fee of $100 that I will pay to Disaster Smart via check or check card. Also, there is a fee of $275 that I will have to pay after the roof work is completed. That is nothing to pay for having security in your new home, right? There are more online steps, such obtaining 3 estimates from different contractors, sending best bid, etc, but I am loving the beginning stages of this Strengthen Alabama Homes process. Please tell friends, family, or neighbors to get online, read about this program and start the process!! More to come, so, I will keep you posted! !